That’s a long time and I wish I had known then, what I know now. I’ve always been interested in sports, being fit and healthy and was lucky enough to participate in a whole lot of different sports. I settled on footy in winter and tennis in summer. But then footy got serious, and I was playing at a pretty high level. I loved the fitness aspect of the game, but I wasn’t too keen on the injuries I was seeing happen to my team mates, and I had a physical job, so an injury would not have been good at all! A friend of mine who was home on leave from the navy was going for a run. I thought that sounded like a good idea and joined him. Well I fell in a heap! It only took 12 months of no training and what I once could do and what my brain thought I could still do was out the window. I hated that!! It felt so wrong. So I started training on my own in the garage. Then, when I thought I had got to a good level of fitness again, I asked a friend if she would go to an aerobics class with me because I was too shy to go on my own(being one of the only blokes in the class)! That was 1989, she did and soon I was going on my own because I took to it like a duck to water.To be honest, I found it easy for me to do and in fact, there were many times I thought I could do a better job teaching the class then the instructor up on stage. 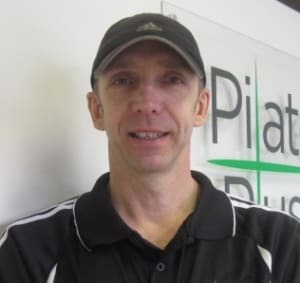 By 1994 I had done a number of different courses in the fitness industry and was looking for something new.I had heard a lot of good things about Pilates and went to a class at the local gym to see what all the fuss was about. Well I came away really angry because I felt like I had just wasted an hour doing bugger all!!!! Then a physio therapist friend of mine explained to me that that was not "real" Pilates, it was a fitness class and I should go and try a different style of Pilates class. So I did and it was far better than that original one I went to. I did do a three day Pilates Mat course that year so I could teach Pilates in a gym. But to be honest, I was probably a bit clueless on why people raved about it. Now, I put that down to my lack of training and the fact that I hadn’t practiced Pilates much myself! 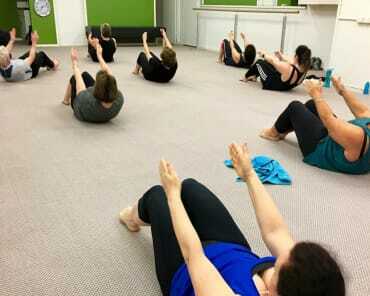 Working full time(in a real job)and teaching fitness classes part time to keep fit was fantastic, I loved it. 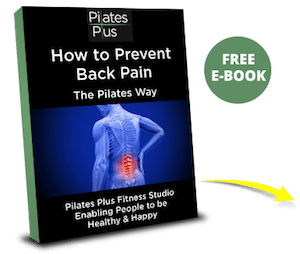 Then in 1997, my lower back started to get sore and uncomfortable, but not bad enough to stop me participating in all the fitness activities I was doing, but it bothered me enough to send me to the doctor who confirmed I had a bulging disc. Well for the next ten years it came and went, each time just getting a little worse but I just kept putting up with it. Fast forward to 2008 and it had become chronic, stopping me from functioning on a daily basis and I ended up in hospital having surgery to relieve the pain. A little while after the surgery, with the doctor’s clearance of course, it was business as usual and I was back teaching all my classes. But not moving the same way as I did before the surgery. When I was not warmed up I moved like an old man…but when I was warmed up, my movement was OK.
It’s now 2010, I’ve been retrenched and pondering what I was going to do now.It was then that I made the decision to start a career in the Pilates Industry and commenced the Diploma in Pilates Instruction. And what an eye opener that was! Even though I had been teaching Pilates (?) for 16 years in gyms (and I’m shocked to think of that) I realise now how much I didn’t know about Pilates! I had no idea how much becoming a Pilates Instructor would challenge me physically and mentally.But now my spine moves so much better and I thank my mentors for helping me achieve that. And I firmly believe that if I had understood Pilates when I had my back injury…I may have been able to avoid needing surgery at all! Then in 2012, I developing a knee injury and was advised that having an arthroscope was the solution. Luckily I decided against surgery and used Pilates to rehab it and surprise, surprise… it worked! It made me wonder how many people could avoid surgery by doing some Pilates strengthening rehab instead. Of course not everything can be “cured” with Pilates, it depends on the individual injury and sometimes surgery is unavoidable. 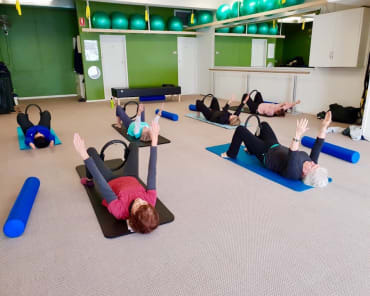 Pilates never ceases to amaze me with its ability to help people move better, rehabilitate, and get stronger… just live better lives, really.It’s only movement but its thoughtful movement that has had a big impact on the direction my life and my health. And my passion as a Pilates Instructor is to enable as many people as I can to really have great health and wellness and be free from pain and injury and have Pilates make a big impact on their lives as well…see you in a class soon! 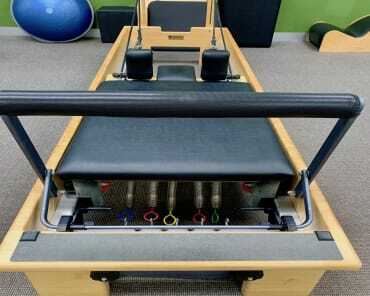 Are you ready to start building your Pilates body?